This is a vintage Herr Keramik Apothecary Jar with Lid in excellent condition. 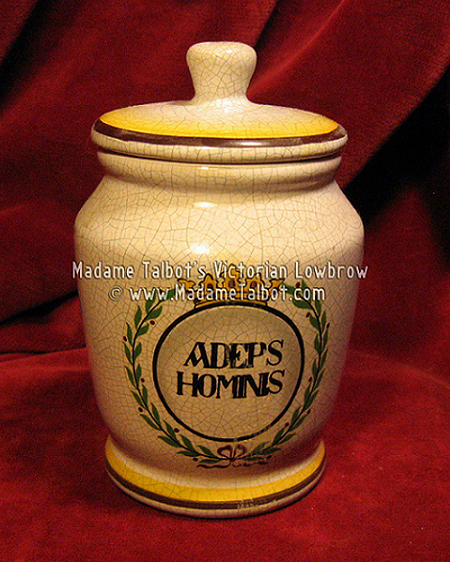 It has a beautiful crackle finish with ADEPS HOMINIS (latin for Human Fat) spelled out in black and with a green wreath topped with a gold crown on a white background. It measures 5 and 1/2 inches tall with lid on x 3 and 1/2 inches wide.